I adopted Shiloh from a dog rescue in Chicago in January, 2014. He was an unclaimed stray brought up from Kentucky. His background was unknown but he was thought to be about 1 year old. 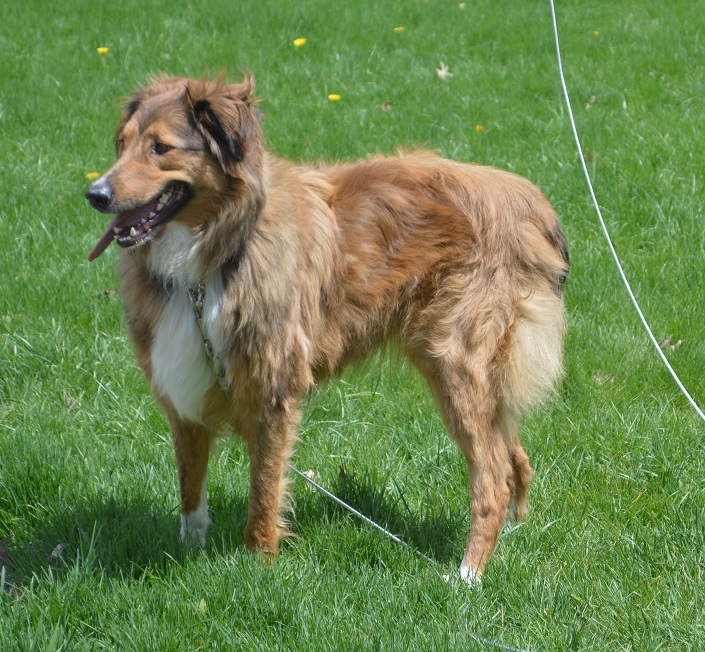 He is very sweet and playful but a little timid with people when he first meets them. He is well behaved except when around other dogs but I hope to solve that problem! He is great with my cats - playing with Jolie and cuddling with Mandy. He is super smart and loves to play fetch endlessly. 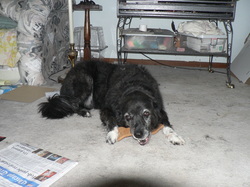 Kuma was my sweet mixed breed dog. She passed away at the end of 2013 at the age of 17. She was adopted from a shelter when she was 5 years old. She had been adopted from the same shelter as a puppy but was returned by her family when they said they were too busy to give her enough attention. She was very friendly and well behaved, but she was also a great watchdog. She got along well with my cats and birds.